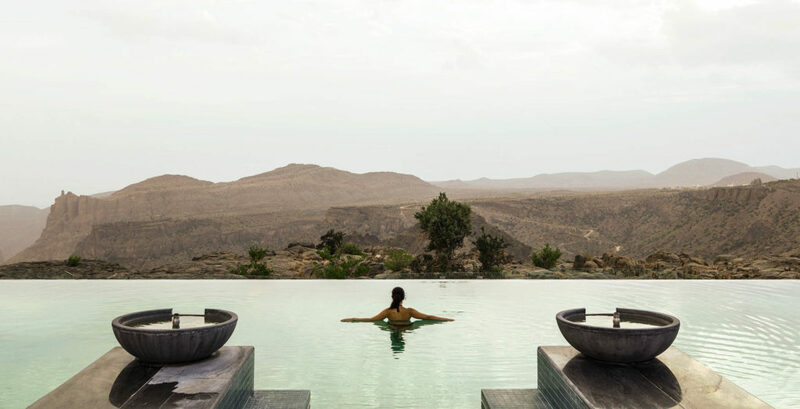 Perched over 2,000 metres above sea level, Anantara Al Jabal Al Akhdar Resort is a luxury destination that includes 115 rooms and villas, six restaurants and lounges, a signature spa, and recreation facilities. 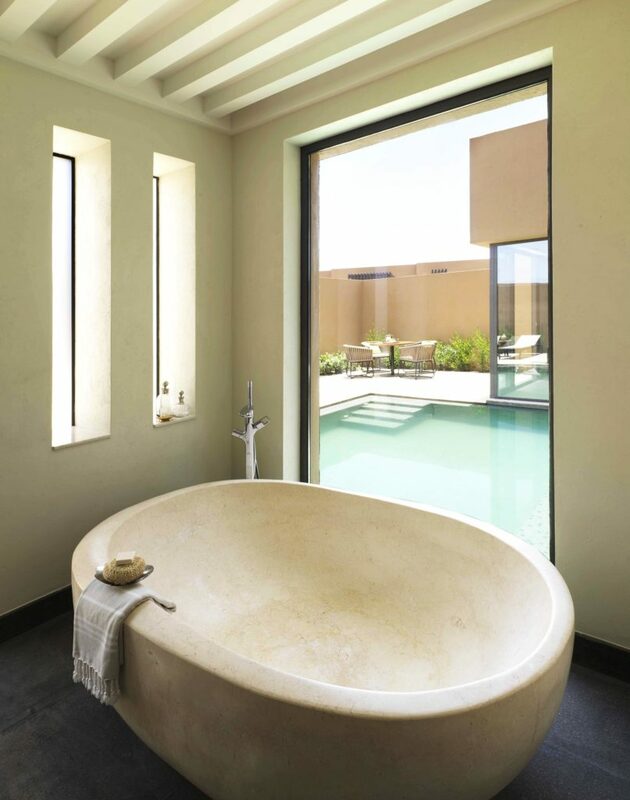 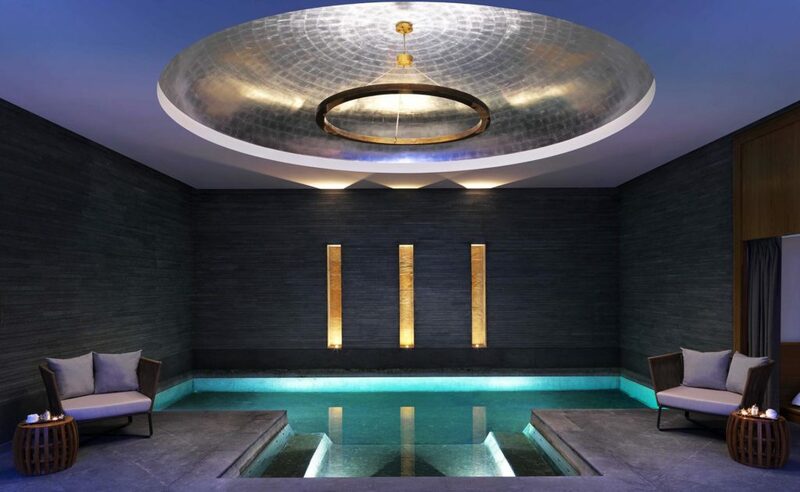 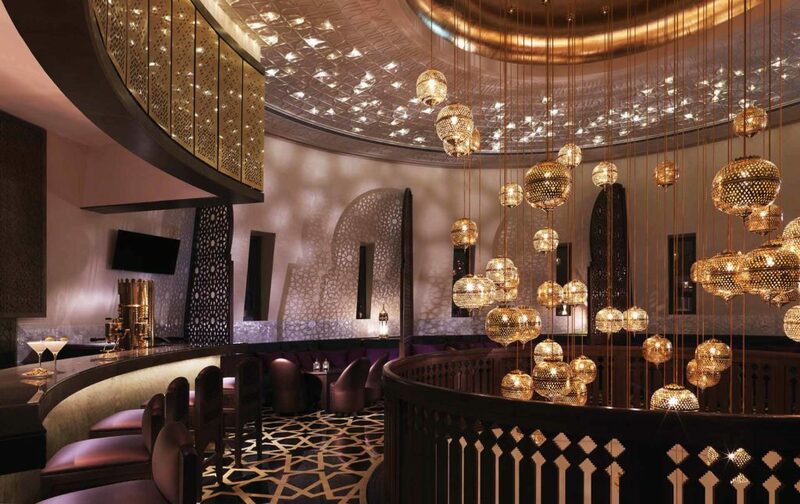 The interiors are heavily influenced by traditional Omani inspired architecture. 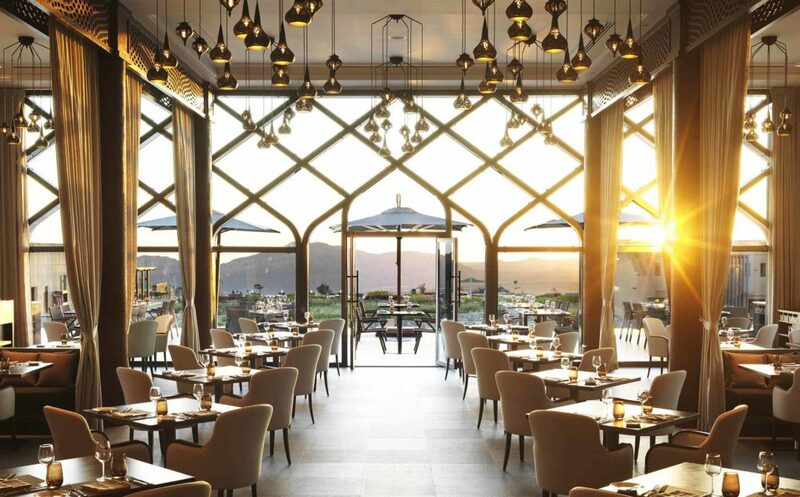 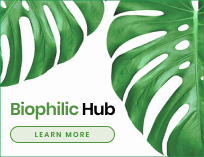 Atelier Pod conceived every aspect of the resort to enrich the guest experience, designing not only the architecture, interiors and artwork, but also the resort’s lighting in collaboration with LDC Madrid, and landscape with HED London. 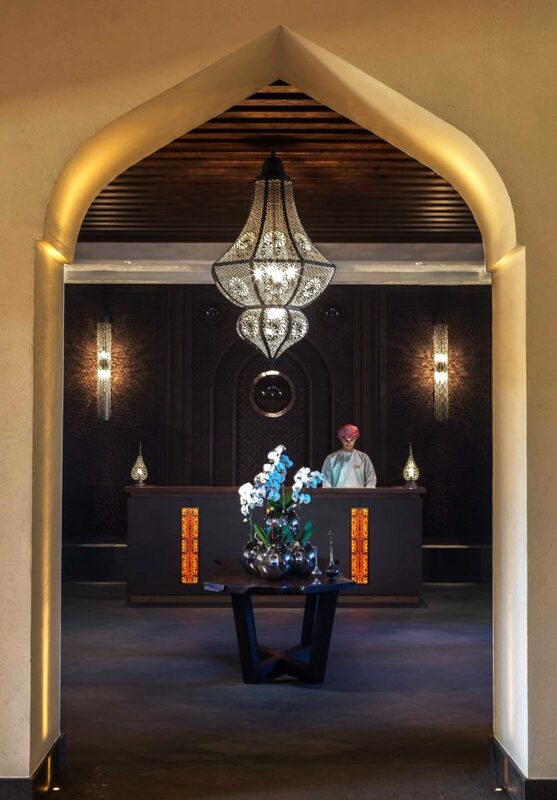 Contemporary interpretations of traditional Omani design were infused into the resort’s concept, exuding a minimalist style. 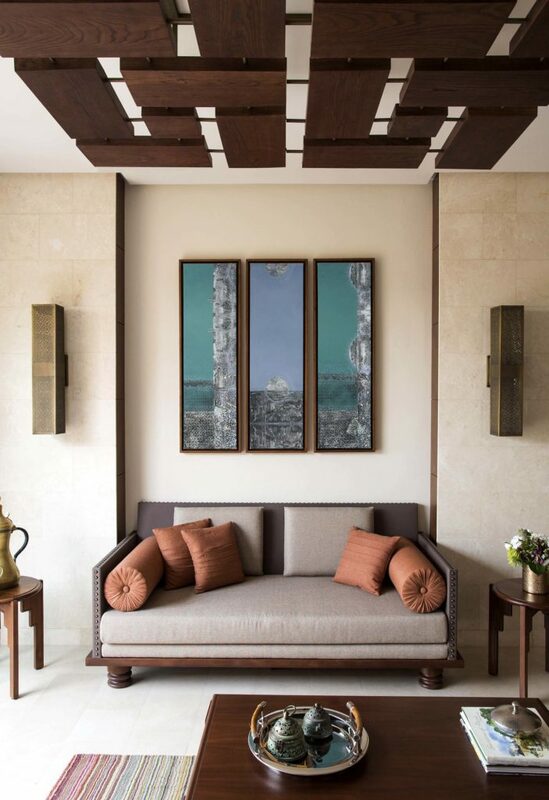 Traditional features are represented in local artwork, Arabesque lanterns, handmade pottery and can also be found in door frames, ancient ceilings, and traditional chests, adapted to luxury resort standards. 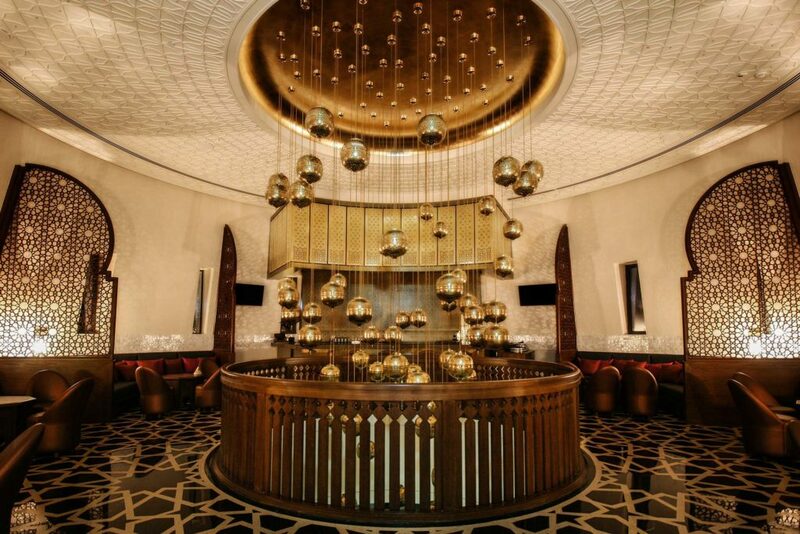 In the lobby, guests are greeted by a wooden dome spanning over ten metres in diameter, with a contemporary fountain centred beneath it. 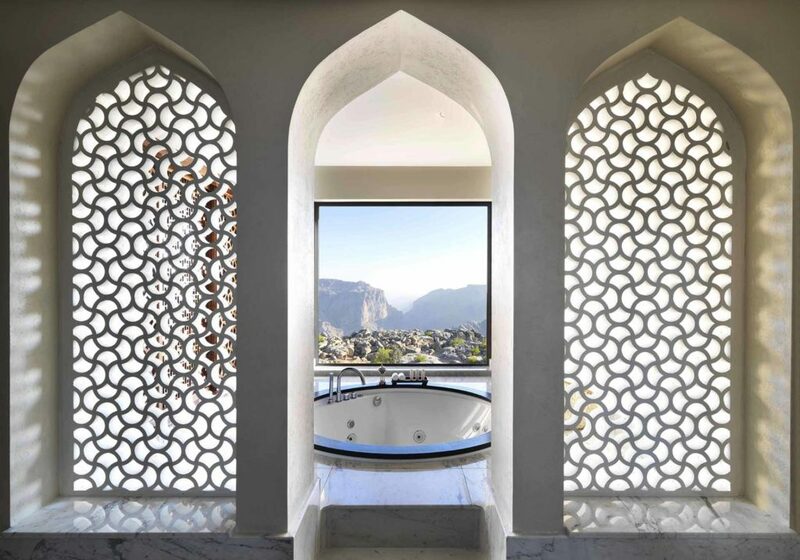 As they make their way through to the central courtyard, decorated by revisited Omani arcades, they can catch a first glimpse of the breathtaking view of mountain silhouettes, past the garden terraces and beyond the dramatic gorge. 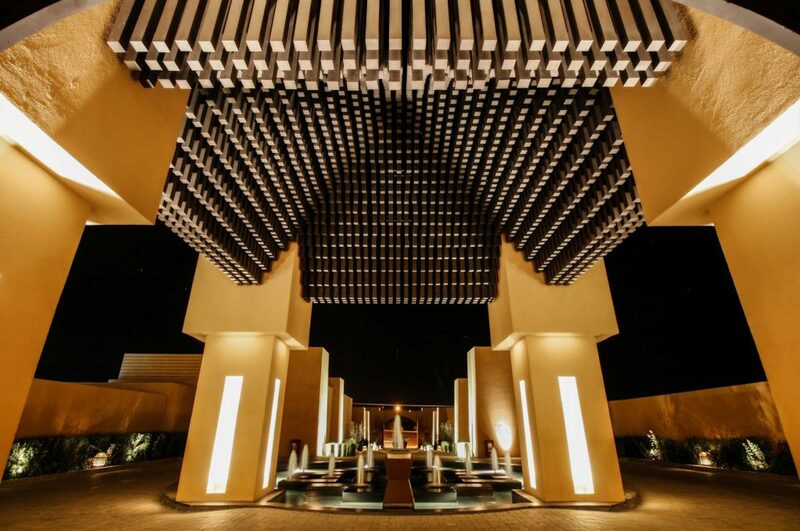 With a large open fireplace serving as a central focal point, the courtyard is unmistakably the heart of the resort. 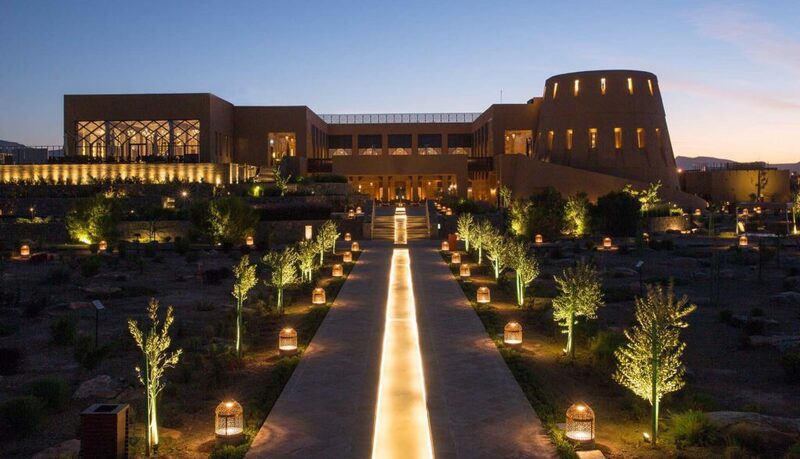 The patio brings together a souk, a coffee shop, a library, as well as pathways leading to the main restaurant and banquet facilities. 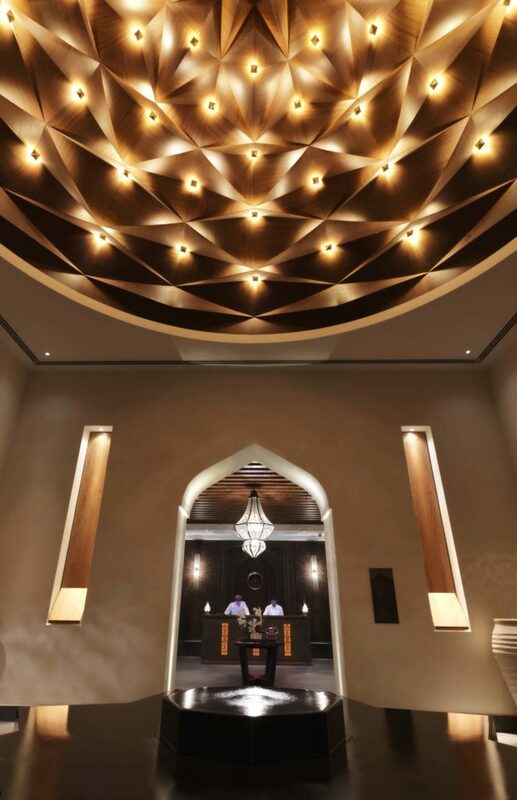 A freestanding tower on the western side of the courtyard is an ode to an ancient Omani Keep, or Burj, distinctive by its conical curvature and smooth encircling ramp. 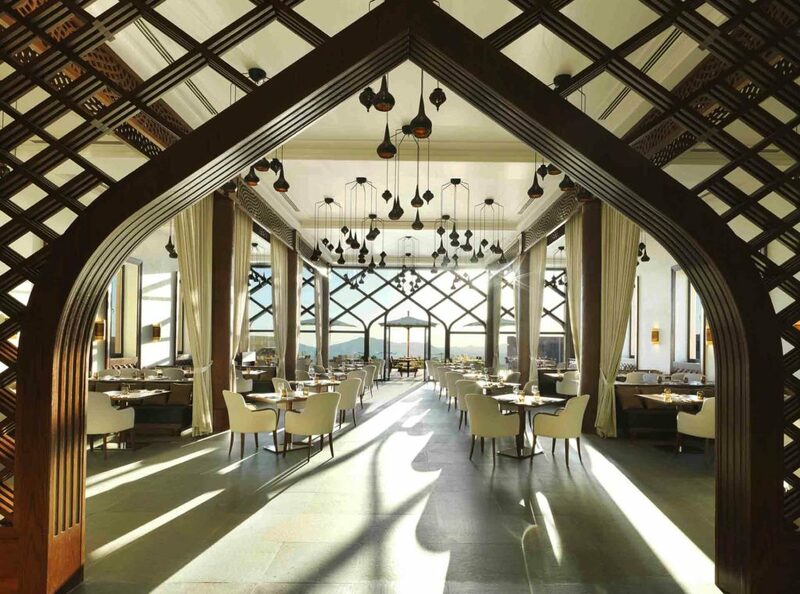 The tower houses a lounge and a specialty restaurant, while also serving as an observation spot. 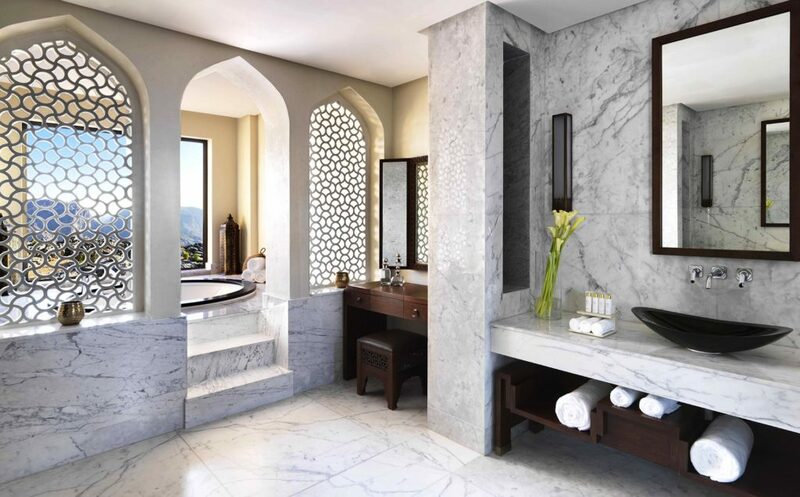 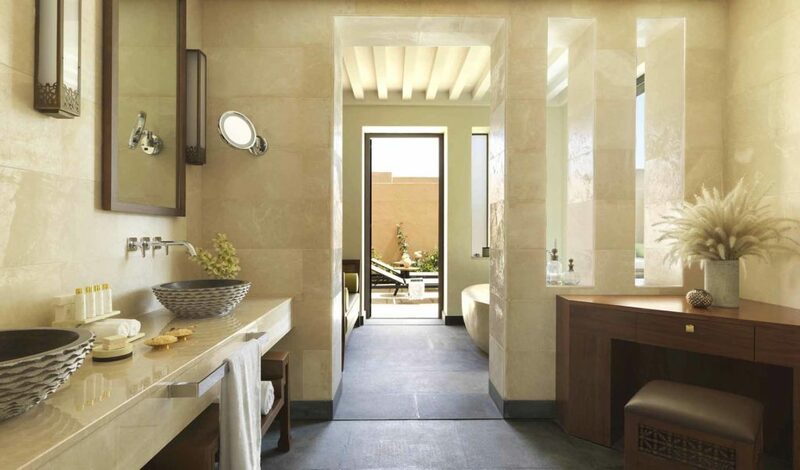 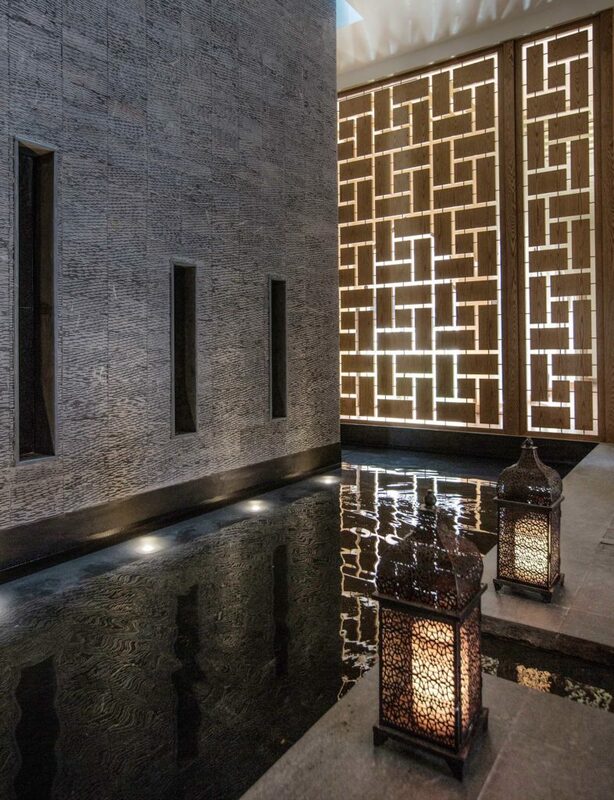 Other unique design elements include falaj-inspired canals, echoing the sound of flowing water throughout the resort.